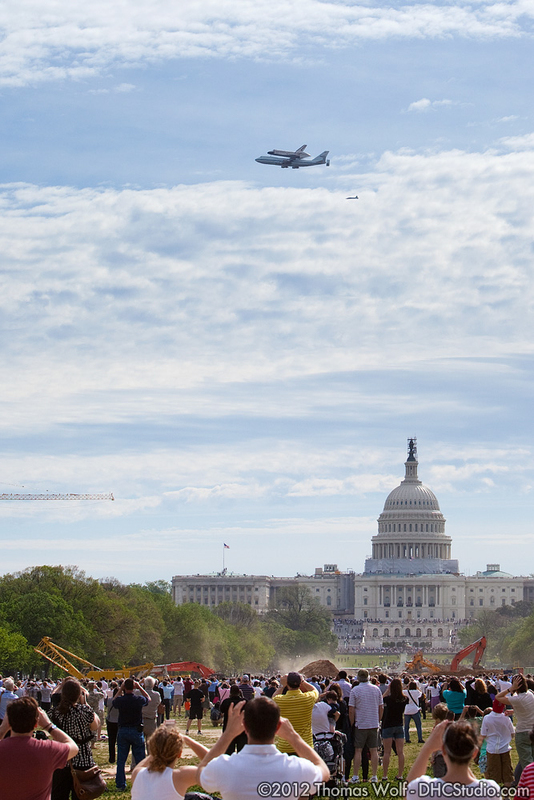 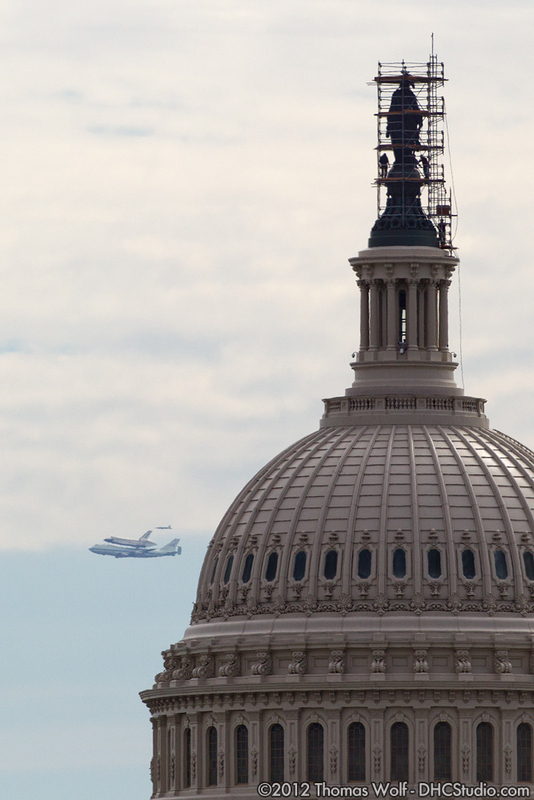 A modified 747 carried the Space Shuttle Discovery from Florida to Washington D.C. this morning. 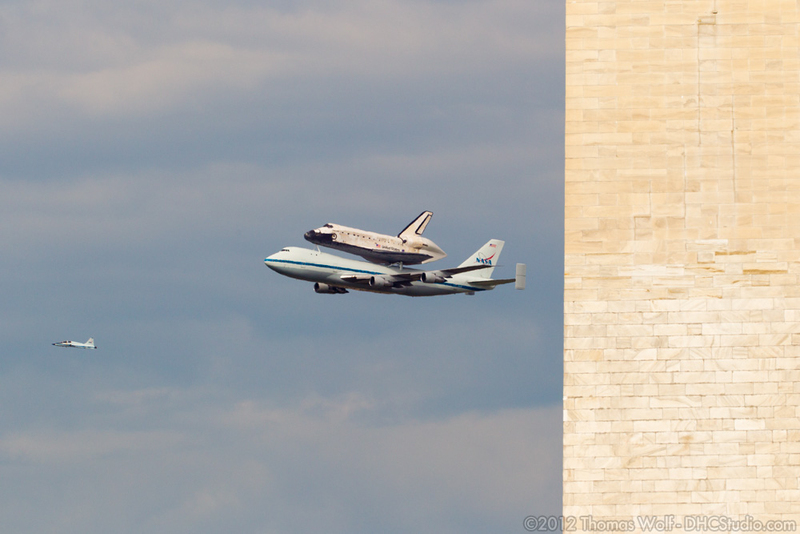 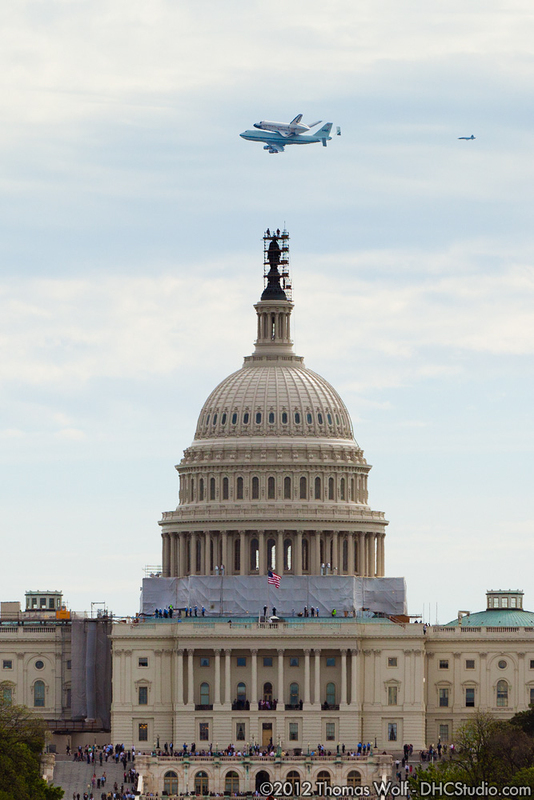 Here are a couple pictures of it taken from the National Mall. 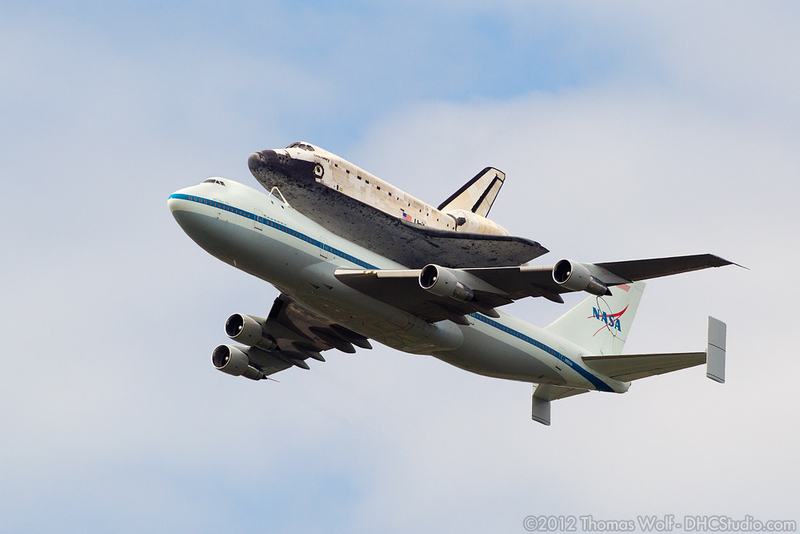 ~ by peeancefreeance on April 17, 2012.
nice work! 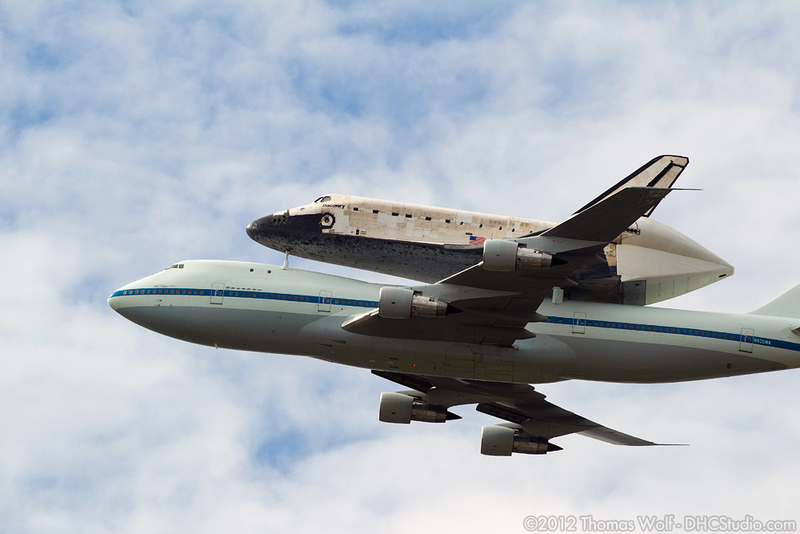 i always wondered how they got that shuttle on top of the 747. haha.